Ever since Kona sold out, I've been looking for a good quality coconut brown ale. I had high hopes for this one - and it just falls a little short. The cocoa nibs are super prominent in the flavor, and I think it drowns out the majority of the coconut flavor. It's there in hints in the backend, but not as powerful as I would like. 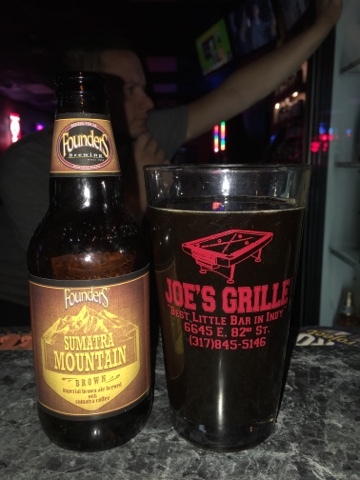 It's very full bodied and has some powerful chocolate flavor. Overall, still a very nice and tasty beer, and I look forward to drinking the rest of them. UPDATE: So, the first beer I let sit out for about ten minutes before I started drinking it. It had warmed up some - but turns out, not enough. The more the beer warmed up, the more powerful the coconut aftertaste became. It's still not the same as those Koko Brown's from three years ago, but it's a very good replacement for now. Eighty percent of the way done. This beer was a gift from my good friend Claire. She recently visited Ireland and brought me back a few beers from one of my favorite breweries. This is a true session beer, very light and easy to drink. 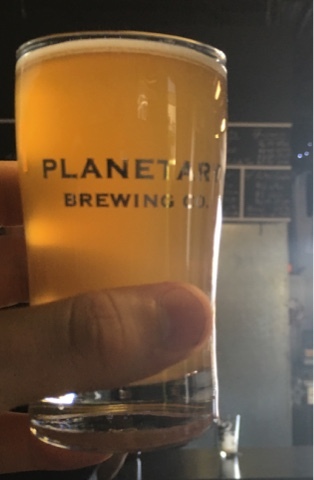 (Odd to be drinking a session beer from the guys who own world records in brewing the highest gravity beers ever...) I could drink this all day long. 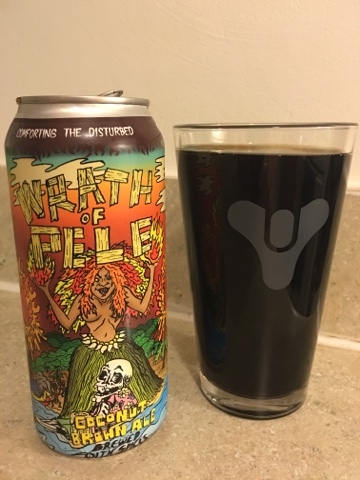 Nice flavors, minor amounts of bitters but nothing terrible. 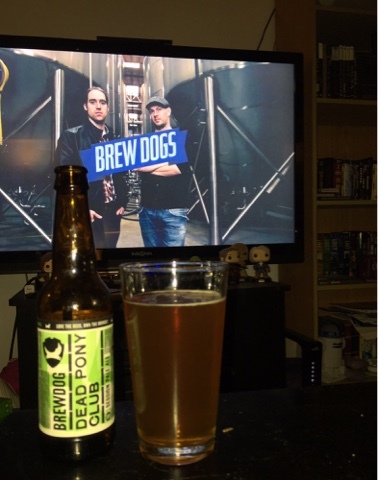 Of course, when drinking a BrewDog beer, I have to watch "Brew Dogs" - their shows on Esquire. Tonight, Caitlin and I are enjoying the Philadelphia episode in honor of the holiday weekend. This episode involves brewing on a float during a Fourh of July parade. 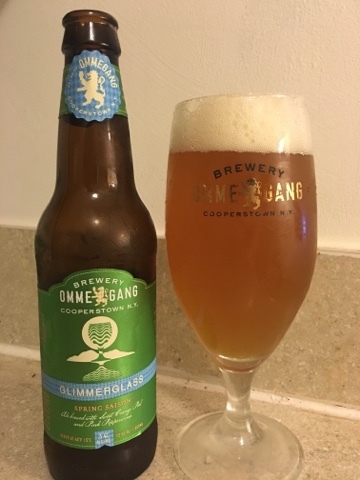 This beer was going to be #800, as I tend to show love to Ommegang as one of my favorite breweries. Until something special came along, and bumped this down to #799. It's a nice and enjoyable session beer. Light and refreshing, not too many flavors to it - but some subtle fruity and floral hints. The most promenient flavor is the pepper on the back end. Like, serious pepper. Not in a bad way - but in an interesting way. Pretty decent Belgian. Much better than their Berliner that I tried first. This is easily a beer I could sit here and drink all day. 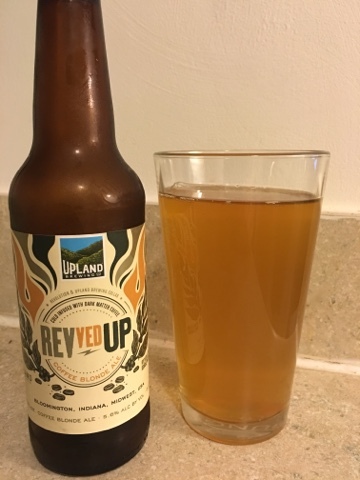 Really light and refreshing with some great flavors that go down really smooth. 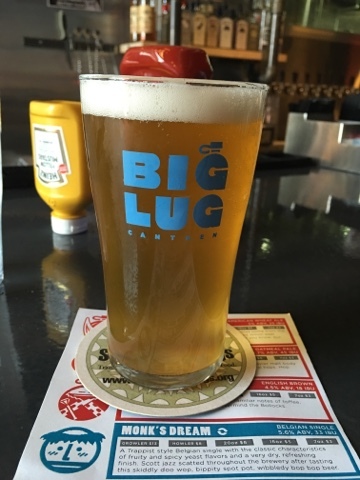 Heavy enough to remind you that it's not light beer. Very tasty. I've been seeing stuff online about Scarlet Lane and TwoDEEP's collaboration, so I was really happy we made it here to give it a try. Yeah, it works. 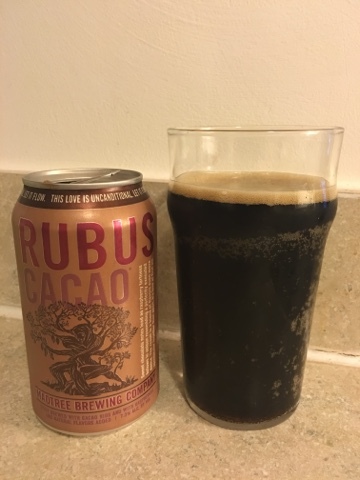 It makes a very nice and smooth, light and refreshing beer - that finishes with some nice chocolate flavor. Much better than I expected, and very enjoyable. I was excited for this one, but it just seems a little watered down without too much flavor to go with it. The typical flavor from the live yeast doesn't seem to be promenantly a part of the flavors. I feel like in a year or two, they will master the recipe and this will be much more enjoyable. 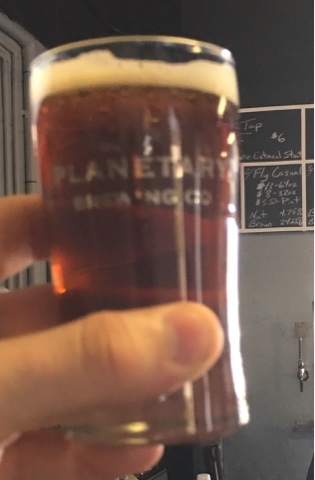 They offer this beer on both CO2 and Nitro - and out flight included both of them. 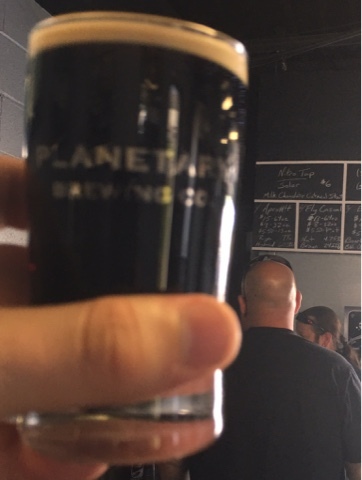 The CO2 version is pretty solid. Super easy to drink, and the chocolate flavor really comes in the back half and sticks around. Really enjoyable. The Nitro version, I'm not as much of a fan of. It's a little drier and the chocolate flavors don't come through as promenantly. Not bad, but I don't enjoy it overall as much. 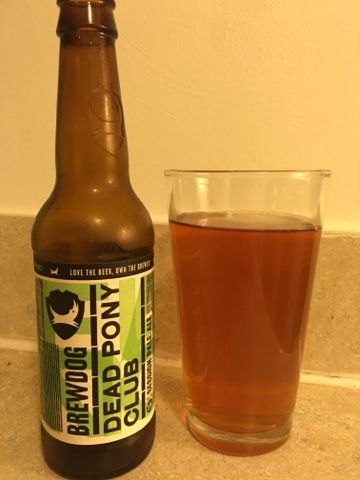 Very nice and smooth flavors, the rye is very present and is very enjoyable. 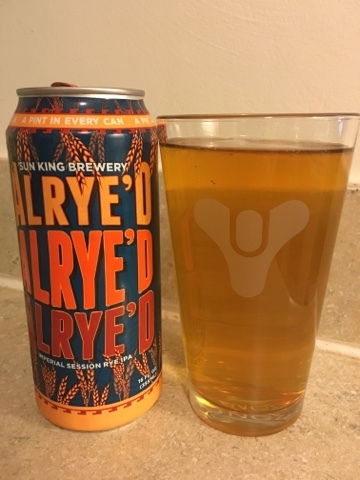 Not dry, and only mildly bitter on the very end - but the rye balances it out well. 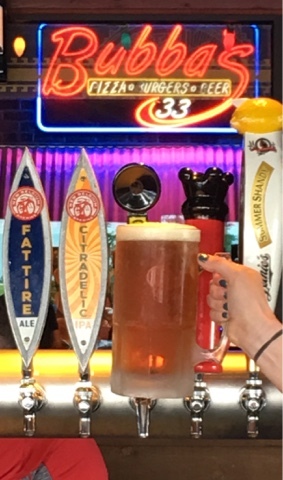 A collaboration of four Indiana breweries - and I'm sadly disappointed. Just a really dry beer all around. I feel like there is good flavor, that just gets overpowered by how dry this beer makes my mouth. Really disappointed, I tend to like Maibocks. If I liked coffee - I think I would enjoy this a lot. 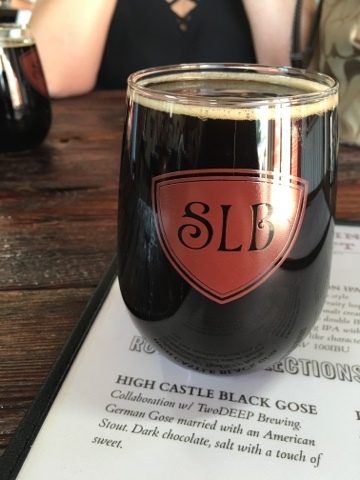 It's thick, heavy, and full-bodied and seriously tastes like a cup of coffee. I am not a huge fan - specifically because I don't like coffee. Both Caitlin and Claire (who like coffee) really loved this beer. 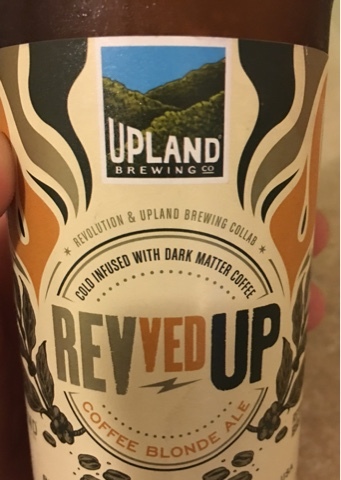 So, any coffee lovers should really like it. 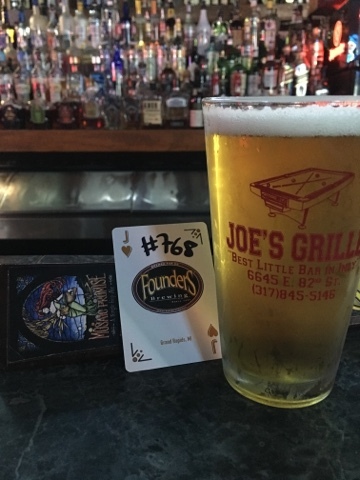 It does hold a 99 rating on Rate Beer and a 95 on Beer Advocate. Obviously, I don't rank it as high. 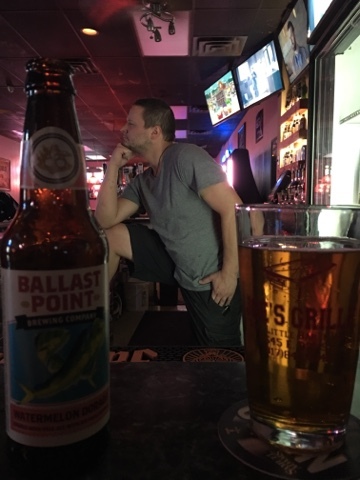 Sometimes I should do a little more research on beers before I order them. 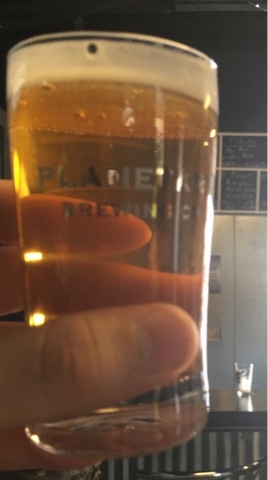 Citradelic sounded like a light and refreshing summer ale. Luckily, it's not terrible. 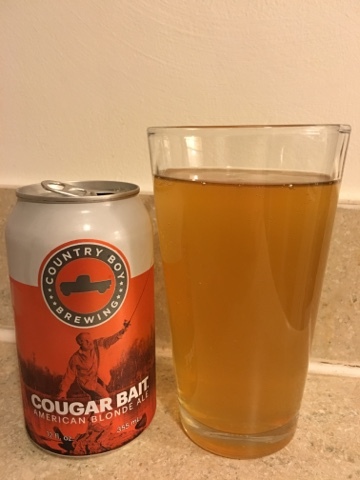 The fruity flavor cuts into any bitterness that it has, and it actually goes down pretty smooth. A little heavier than I expected from its appearance - but still tolerable. 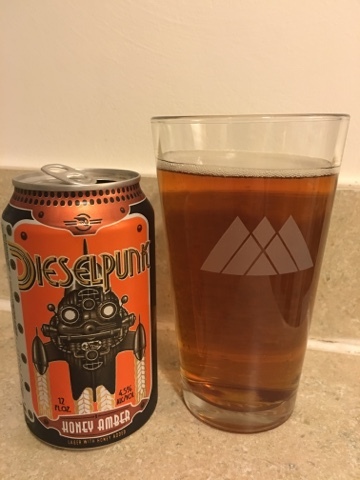 About 550 beers ago (255 & 256), my good pal Jae introduced me to Dieselpunk. I liked them - they used the Rocketeer logo. Their two beers just weren't my style. 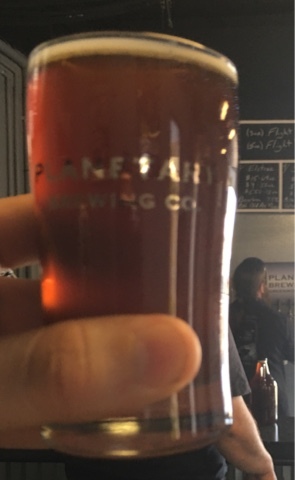 I could tell they were good quality - but IPAs and Porters aren't my main go-to. So, years later I was happy to come across their Honey Amber offering. And this is probably my favorite beer of the three. Very strong flavors upfront - it hits you with the first drink. But then it's smooth, like super smooth going down. And in the end it finishes with such a slight hint of honey that it's not too sweet and really enjoyable. I could drink a lot of these. 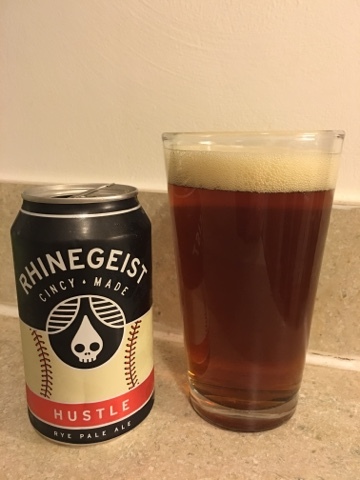 I knew Rhinegeist would eventually let me down. And this beer was it. It was just too dry and heavy for me. 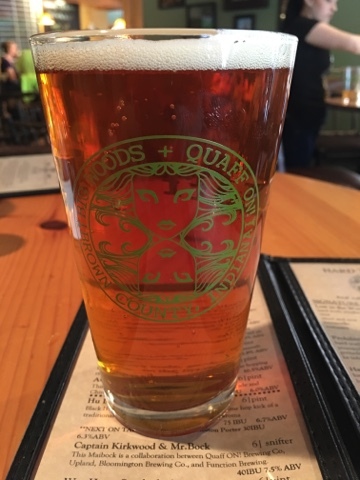 Which is sad, because there is another Rye Beer from Indiana - which is one of my favorites. Sadly, this was just not as enjoyable. 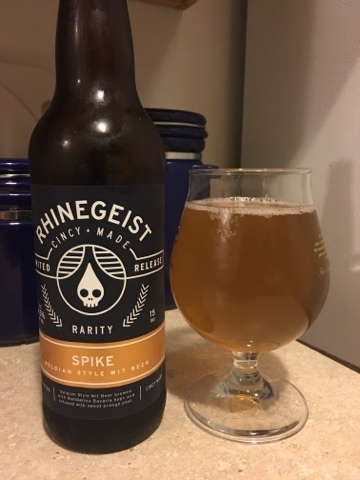 Really good tasting beer, I am really enjoying everything I've been trying from MadTree. Nice quality flavor, and the raspberry does an amazing job of cutting down any bitterness on the backend and makes it nice and smooth. Still thick, full flavored, and high quality. 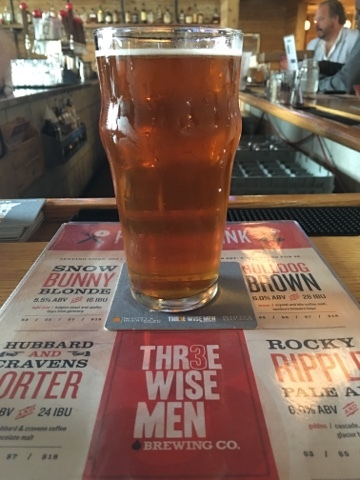 Had two friends out in Broad Ripple that invited me for a beer, so I went ahead and met up with Chris and Katie and tried the newest beer that Thr3e Wise Men had tapped, just a few days earlier. Decent beer. Doesn't really stand out and it's not my typical drink of choice. A little drier than I prefer, but it wasn't hard to drink it all. Just a very standard beer. 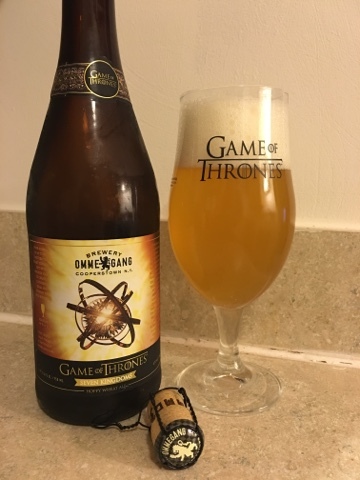 So, since we were watching the show, it seemed like a good time to crack open this beer and give it a drink together. I actually really like it. 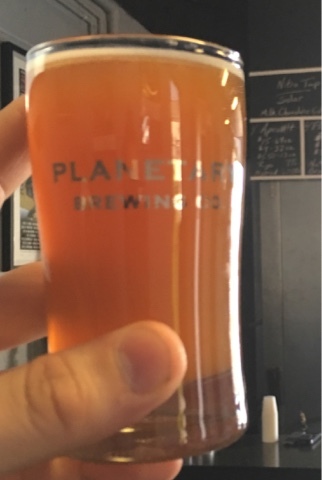 I think the flavors work well together and it goes down smooth. It's got some dryness to it, but it doesn't really bother me. Caitlin, not a fan at all. 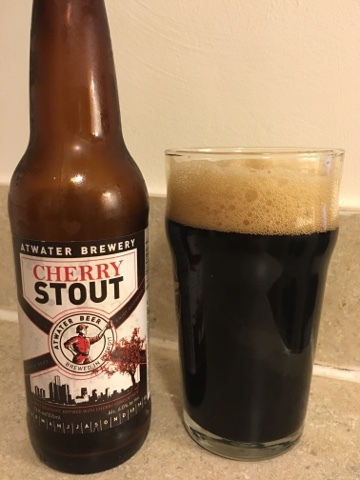 The cherry in this beer has an odd effect of almost turning it into a sour. On the front it is very sweet almost sour due to the very prominent cherry flavor. 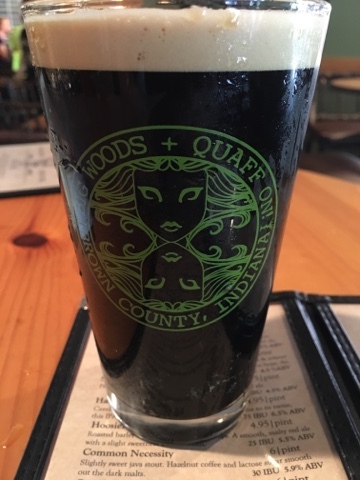 On the backend, it finishes itself like a "lite" stout. 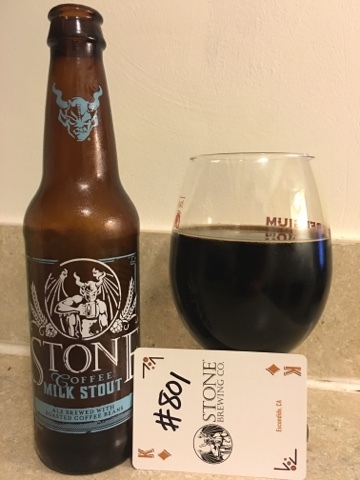 Not dry or bitter, but still full bodied. 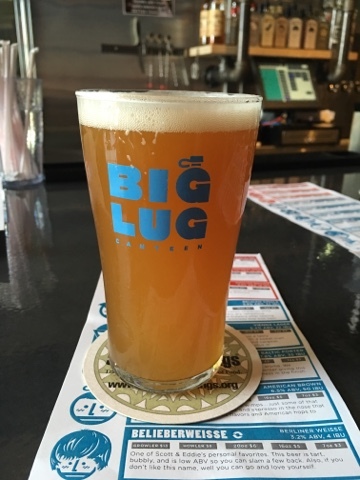 Atwater is one of Caitlin's favorite breweries - but this is her least favorite beer she has tried from them. For me, possibly my favorite. I really nice and smooth Amber. I get some honey notes in the flavor which makes it a little sweet as it goes down. It's kind of dry on the back end, but not terrible. Just slightly enough - with good enough flavor - to make me want to take another drink. Enjoyable, not my favorite, but I wouldn't turn down another one. 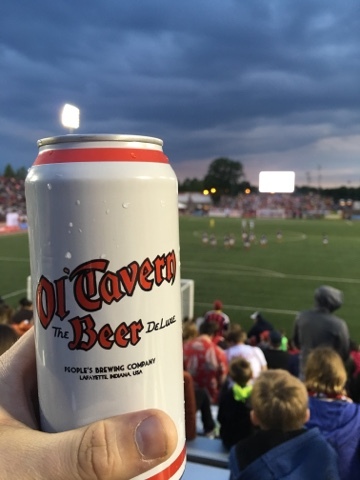 Took Lily to her first Indy Eleven match and was able to find a beer for the website. It's just a pretty standard - out of the can - lager. Nothing special, honestly tastes just like the Modello I drank earlier at the match. Easy to drink, but not anything I'll go out of my way to drink. There is nothing special that stands out with this beer, but I find myself really enjoying it. 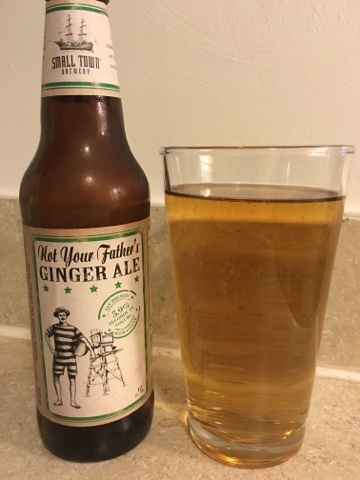 Good flavors, smooth, light and easy to drink. Not too complicated. Kind of a high quality witbier. Light and smooth up front and easy to drink, but with quite a bit of bitterness in the back end. Good beer, but nothing special to me. 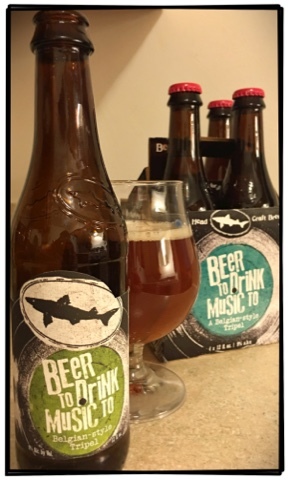 I have been a big fan of Dogfish Head ever since I saw Sam Calagione in Brew Masters. I think he's a very intelligent business owner and thinks outside the box - those are qualities I respect in people. So, over the years, I've done my best to try their beers. Sadly, the majority of the time they are just too much for me. I can taste the quality, but that quality doesn't always come in flavors I enjoy. 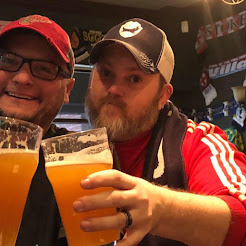 The 120 Minute IPA recently came to Indiana - and even though I have not yet drank one, I suggested my Hophead Buddy Michael go get one. 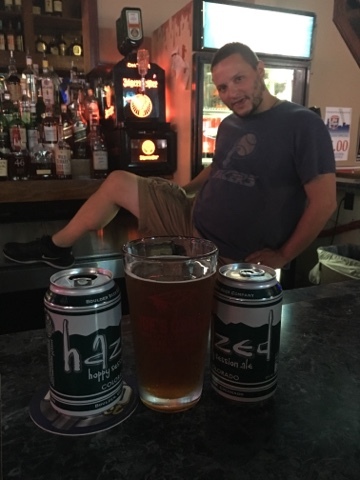 He did, and he loved it - but he also bought this beer and said he thought it would be my style. He wasn't wrong. It's one of my favorite beers from Dogfish Head, a nice amount of full body to it, goes down smooth hut reminds you that it's a "big boy" at 9%. I think there is only one flavor I don't like in the mix - and that's the peppercorn. It just seems to throw off everything else by being a little distractive in its flavor. Overall, still super enjoyable, and recommended. 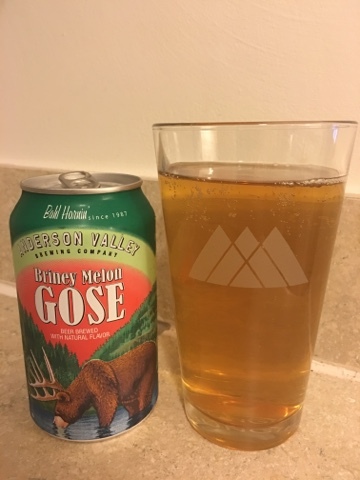 Been seeing and trying a lot of Gose beers recently, especially because I enjoy sours so much. It's been really hit and miss - I like some and hate others. This is definitely one that enjoy. 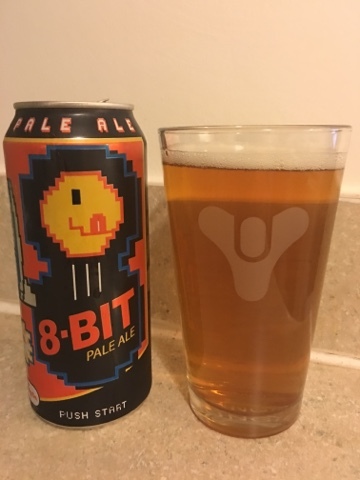 Nice and crisp, light and refreshing, with a good sour flavor to it. Not the most sour I've had, but just a good enough amount to make it very enjoyable. Very enjoyable beer. The flavor packs the punch up front and there is a complete lack of dry mouth on the back end. Still not my favorite flavors, but much easier to drink than a typical IPA. Quality flavors are involved. And Ryan Miller made a cameo after he served me. He's been a big help on this website - being present from many of the Milestone Beers and helping me seek out some of the more difficult beers. Always fun to include him in a post. This is a good quality Pale Ale, but runs a bit drier than I prefer. 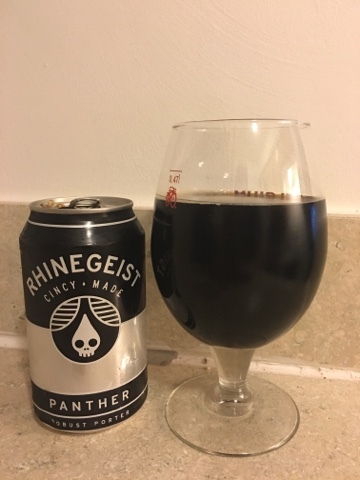 Nice and full bodied, some good flavors up front, but I just don't enjoy the bitterness in the end. This is actually my kind of Porter. Not dry, it is pretty sweet. 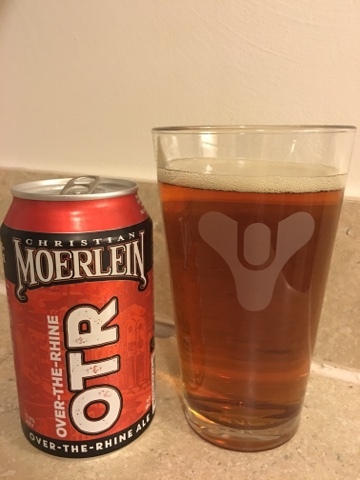 Not bitter, it goes down really smooth. Honestly, I would consider it a Porter Lite! And I enjoy it. 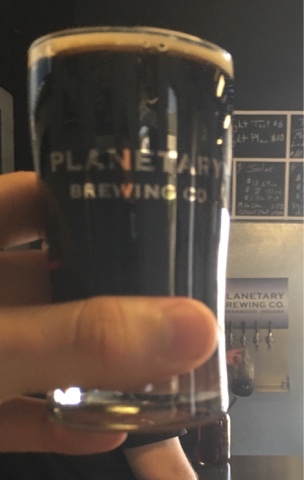 For those who really like the dry and bitterness of Porter, this will disappoint. But for me, it's got good flavor and smoothness. So, I enjoy it.